You have just pulled out an excellent dish, out of the oven for your family, but you hear it doesn’t taste like it did the last time? 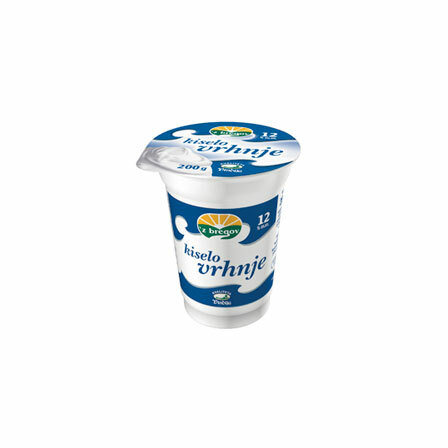 You must be missing 'z bregov sour cream. Something no kitchen should be without. Different varieties of its packaging were created especially for your ingenious culinary adventures in the kitchen. 'z bregov sour cream – the basis of gourmet delights! 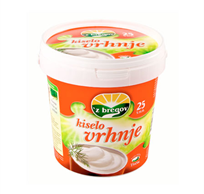 The main edition of 'z bregov sour cream brings three dimensions of delight with three different fat contents. 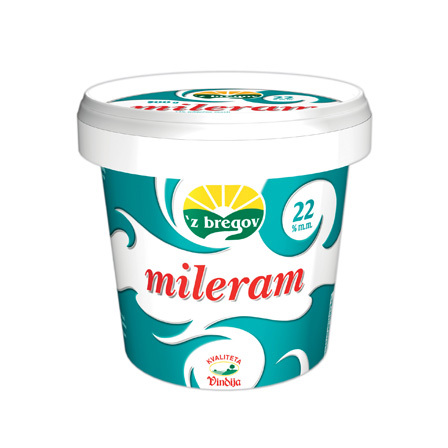 A lighter variety of sour cream, containing as little as 12% milk fat, will surely find its place within salad dressings, and our Creme Fraiche with 20% and 25% fat content tastes simply delicious in cakes and puddings. The main edition of 'z bregov sour cream brings three dimensions of delight with three different fat contents. 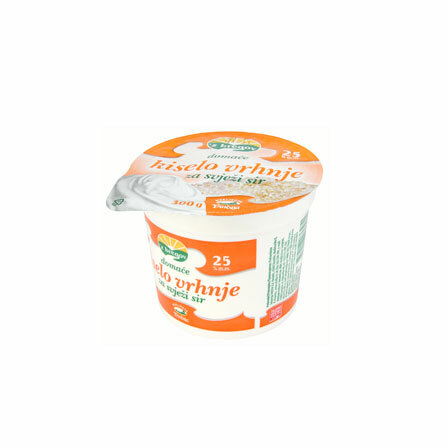 A lighter variety of sour cream, containing as little as 12% milk fat, will surely find its place within salad dressings, and our Creme Fraiche with 20% and 25% fat content tastes simply delicious in cakes and puddings.. 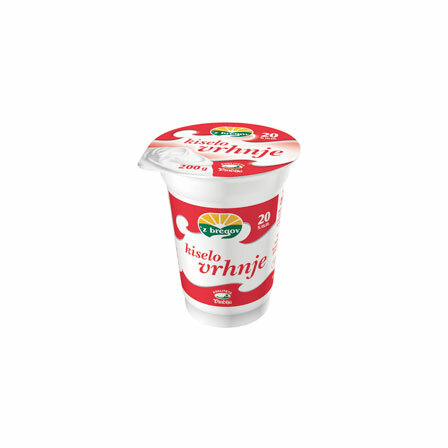 The creamy taste of 'z bregov traditional sour cream for cottage cheese reminds us of the traditional specialty our grandmothers once prepared, containing 25% milk fat, with a 300g pot convenient for single use. Mileram sour cream is an irreplaceable ingredient of homemade specialties. 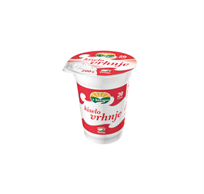 Its creamy structure gives supreme taste complimenting various sauces, soups and desserts. 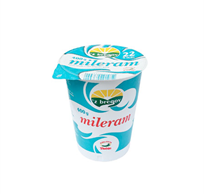 Our mileram is available in 400g and 1000g pots containing 22% and 30% milk fat. 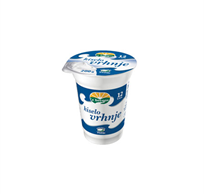 The largest sized packaging of this product, which is 5kg, is available to buy in bulk.